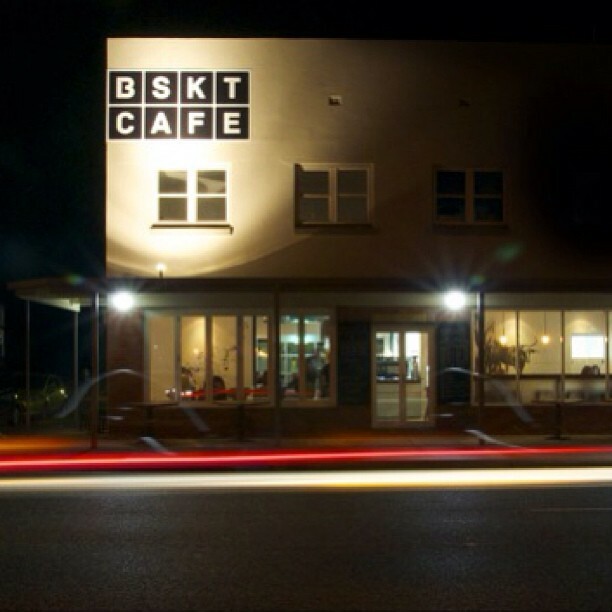 I went to BSKT last week, the latest Gold Coast hotspot for all things foodie. This quaint little cafe/resturant is tucked away at the back of Nobby's by the beach. I went for dinner but I also hear the breakfast is fantastic; there's a little deck out the back that would be devine for summer brunches. The interior is minimalist but in a cool and welcoming way. The menu is very impressive and I had difficulty choosing what I wanted to order because everything sounded so good. The menu is written in a very 'foodie' style and I think at first the boys at the table had a bit of trouble deciphering what they'd like but in the end they all managed to choose something that came out looking great, plus there's a steak on the menu for anyone having trouble. I ordered the 18hr slow cooked sticky pork with raw salad and chilli vinegar (sorry the picture is a little dark). It was really really good. The pork was very tender but had a yummy crunchy outside that somewhat reminded me of KFC chicken, but a healthier version of course! And the raw salad, translation: coleslaw, was just the right accompaniment. It was crunchy and fresh where the pork was slightly heavier. All in all a really good dish. Others at the table had the lamb curry which smelt and looked amazing; those eating it could only mumble how great it was through their delighted mouths. The service was really great and the waiters were so friendly. We were there for my friend's birthday and we brought in some cupcakes and I was so happy to see the waitresses made it a lovely evening for her. They snuck the cakes out to the kitchen when we arrived and then came out later with the candles lit and waving at us to start singing. It was a really pleasant, especially when a lot of restaurants these days act like you're a pain for bringing in cake. When my friend asked me whether I would be keen to do a cupcake decorating course the other week it only took me all of 0.5 seconds to say yes! Afterall as a burgeoning blogger/foodie I thought I ought to try my hand at something new and particularly something that I thought would be a challenge for me. Those who know me are aware that I suffer from a case of "careful shaky hands", that is when I'm trying to be extra careful (and sometimes even when I'm not) I get terrible shakes! So I knew that this would be an obstacle I'd have to overcome in the name of pretty cupcakes! Off we went a little cafeteria slash cooking school in Southport. You can do a range of classes here, from cake decorating to pasta dishes. If you go to one of their night time classes you can even drink wine while you're cheffing it up! I arrived to see a mixture of faces, ages and nationalities; it seemed everyone was keen to give it a go. First we made our buttercream icing (250g of very soft butter and a packet of icing sugar, beat until well combined); 10 minutes in and I'd already made a bit of a mess! The beater ends got stuck and in my effort to pull them out I pressed the 'on' button and icing went flying everywhere! Not my proudest moment, but moving on... We made our icing our preferred colour, opting for an orangey red; to create, make your icing red and then add a dash of yellow. Simples! Our teacher took us through some different styles and techniques and looking at her example cupcakes I was definitely apprehensive as to whether I could recreate them; shaky hands and all. But I needn't have worried. It actually turned out to be a lot easier than I first thought and with a bit of practice you find that you pick it up really quickly! We learnt the piping bag technique and how all the different ends work. There are so many types which all create a different kind of icing decoration and then each can be used several different ways so suffice to say there's a lot of many options! Here are a few of the ones I perfected. I'm very proud of the ones I made and can say that I did indeed master a few of the techniques she showed us. When I've saved enough to buy the kit I'll definitely be trying these a home! I absolutely love this idea. It looks and feels just like an egg but you crack it open [note: carefully] to discover a little garden ready for sewing your own strawberry seeds! Great for those who don't have a garden at their place. I think it would look perfect on my window sill. Plus there's a whole collection; you can also have basil, mint, petunias and lavender. Isn't it the cutest thing? $24.95. Shop here. Anyway, I’ve had my fair share of weekend trips lately with my new best friend; carry-on luggage. So here’s a little guide on how to make your relationship a successful one. Get the right suitcase. You’re going to want something light because you don’t want to give away precious kg’s to the bag when they could be allocated to your dresses. Make sure you have outfit options; by that I mean 2 or 3 outfits that can be mixed and matched to create say 5 or 6 different options. Think basic bottoms and a few fashion tops that go well with everything. Accessorise. If there’s a cheat’s way to make any outfit look different without actually changing it, it’s with accessories! In this case, scarves are my best friend, they easily change your look and you can also wear them in a multitude of ways. Dresses are a great option for a complete outfit if you’re travelling somewhere warm and, bonus, they don’t take up too much room. Have only one set of going-out options; by that I mean one clutch and one pair of heels. Unless you’re travelling for weeks on end (in which case stop reading because you definitely need a 40 litre suitcase!) you’ll only need one option for night time. You can change it up with your clothes. Pack only one pair of daytime shoes. Yes I know it’s difficult but shoes are heavy and rather bulky so pick a great all-round pair! In terms of make up, try and pack samples. I have a little container of my favourite makeup samples just for when I go away: foundation, mascara, lip gloss, moisturiser. Just ask your cosmetic consultant for some samples to try and then stash them away for trips! Sneaky but so much better than big bottles. Always remember that on holiday, especially if you’re me, you’re more than likely to go shopping which means you’re going to need more space coming home. So always leave a little in reserve! Wherever you head I hope you have a stylishly fabulous time with these tips and it makes your time at the airport a little more streamlined. Remember to take lots of pictures! Ok, I’m giving you plenty of warning here. Do not attempt this dish unless you have plenty of time to spare and thrive on the feeling of intense pressure! This is a time and labour intensive dish. Having said that it really does taste amazing and if you are feeling adventurous I can guarantee you’ll feel so proud of your efforts when you take the first bite. I love making my own pasta but it does depend on whether I have the time. The fresh stuff truly tastes so much better so if you haven’t tried it then I encourage you to. If you don’t have a pasta roller you can still make this dish, just a little more effort required as you will have to hand roll the dough with a rolling pin. Serves 4. First make your pasta. Place flour on bench-top with a well in the middle. Crack eggs in. With a fork in one hand and the other supporting the edges slowing whisk eggs whilst gently bringing flour in together. Once combined, gently knead the pasta dough for about 5 minutes. You’ll know it’s ready when you push it with one finger and it springs back. Wrap in cling-wrap and set aside for 30 minutes to rest. Now make your mince filling. Brown off onions and mince, add herbs and paste and leave to cook on a low heat until the mixture is dry. While that’s slowly cooking away, make your tomato sauce by browning off onion and garlic in olive oil. Then add in diced tomatoes and paste, stir well and simmer gently for 15 minutes. By now your pasta should be well rested. 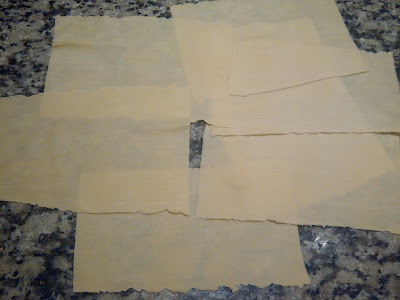 Split dough into 2 sections and punch down until it’s thin enough to fit through the widest setting of your pasta maker. Roll through and fold into 3, rotate 90 degrees and roll through the pasta maker again. Continue this process until the dough is the width of the machine. Now begin to roll your dough thinner, going through each setting until you reach the second last. Repeat with other ball of dough. Leave pasta to dry for 5 minutes on a chair lined with a tea-towel. Preheat oven to 180 degrees Celsius. Check on your mince and sauce. By now they should be about right to turn off. Place a new saucepan on the stove with salted boiling water ready to blanche your pasta. 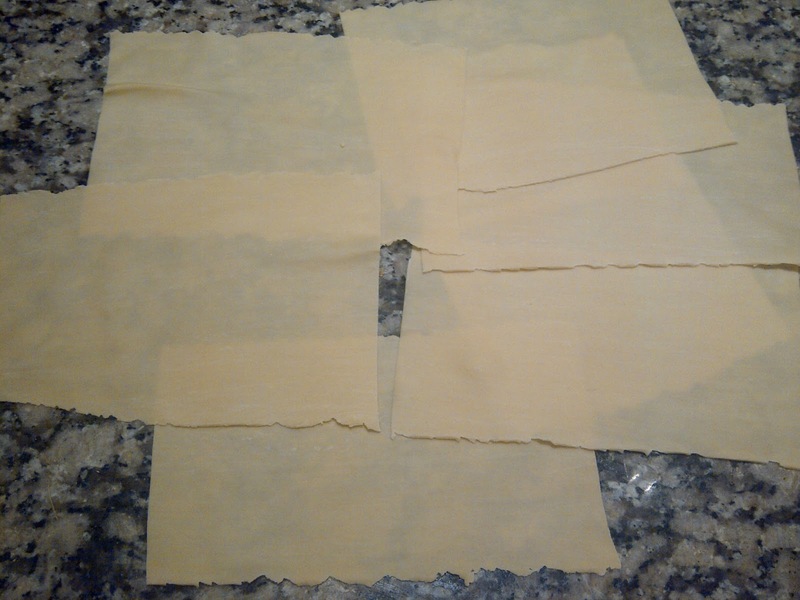 Cut your pasta into 15cm lengths (you should end up with about 16 rectangles). One at a time place the pasta rectangles into the boiling water and let them blanche for about 2 minutes each. When you pull them out of the water, lay individually to dry. Meanwhile place your tomato sauce in a large, shallow casserole dish. Once pasta sheets have dried spoon mince along the shorter side of the pasta. Roll up gently and place with the sealed side down in the tomato paste. 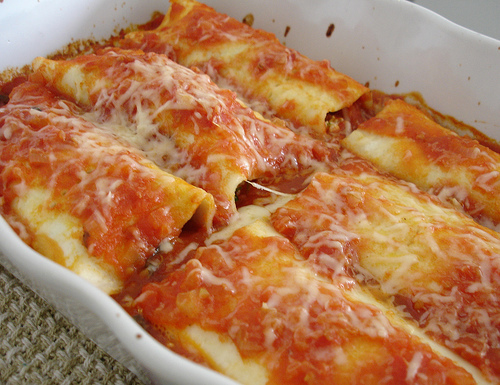 Repeat for all pasta sheets, ensuring the cannelloni are well coated by the tomato sauce. Sprinkle with ¾ of the cheese and bake in the oven for 40 minutes. Serve sprinkled with remaining cheese. I’ve always been quite the lover of Suboo since it emerged as a designer beach umbrella brand in 2007 and then when it’s ready-to-wear line launched at the 2012 Sydney Mercedes Benz Fashion Week I’ve spent many hours frothing over their designs. I particularly love this chic overlay dress. A printed mini dress is softly shielded by a light layer of silk. Currently on sale so get in fast. $200. Shop here. The Burleigh Village Markets have become quite the local hotspot here on the GC so I figured it was about time I checked them out to see what all the fuss was about... And boy am I glad I did. I visited the markets back in May on a sunshiny weekend. Wandering the stalls there's a great feel about the place and some really cool things on offer particularly at (my now favourite stall) Nat Kent Jewellery. Her beautiful jewels caught my eye and when I asked her to be a part of my blog's first birthday giveaway that's currently running (enter here) she was thrilled. Nat's gorgeous designs came about by chance (however her creative skill isn't completely random; as a child she was inspired by her grandma who was an avid knitter, and she even sewed her own formal dress!). Whilst on maternity leave she turned her hand to crafts with the aim to create bespoke creations for consumers. Her range includes some spectacular necklaces and bracelets and I've fallen completely in love with her debut collection. 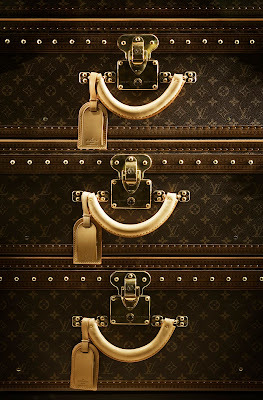 It's so nice to see designs that stand apart from today's "typical" jewellery that's available in all the chain stores. With Nat's range you're sure to find a one-of-a-kind piece. The range emulates high-quality, luxury designs at an affordable price. Nat credits her inspiration to international brands such as Mawi London and LuLu Frost. You'll find her pieces contain spectacular coloured stones and statement settings; these are sure to draw attention and plenty of compliments! Her debut range releases this month. Check out her collection here. I hope you love her creations as much as I do. Let's support this fantastic emerging designer. Photos courtesy of Nat Kent. I made a quick trip down to Melbourne on the weekend to visit the family. I had a great couple of days catching up with Dad, shopping [way too much] and dining with friends. Saturday morning I had breakfast at The Mess Hall; a little cafe at the top end of Burke St near Parliament House. The venue for this cafe is full of old world Melbourne charm as it's housed in a historic city building not unlike a terrace house; narrow at the front and long to the back. Mess Hall is open for breakfast, lunch and dinner and after experiencing it's quirky, friendly feel I'd be keen to return. I ordered the museli with yoghurt and poached rhubarb which was really nice. I'm in a bit of museli phase at the moment after discovering an amazing homemade recipe for it (I'll be sure to share with you soon), so now I feel rather inspired to poach some rhubarb at home to add to mine! They also have a good selection of herbal teas, I had ginger and lemongrass which was very refreshing. Style It. Everything looks better in black. Who's guilty of wearing a lot of black? Me. If you opened my wardrobe you'd see 80% of my shelves are this monochrome shade. It's not that I dislike wearing colours, it's just that I genuinely think I look better wearing black; it's so much more forgiving, very slimming and doesn't clash with anything. How can you go wrong? I wore this outfit to dinner a few weeks back. I think I look rather stylish in my old-faithful black, with a splash of red lipstick just to avoid blending into the night! I'm wearing my favourite black skinny jeans by Bebe, a basic black cami from Review (everyone needs one of these! ), and a faux fur shrug I found in a vintage shop in New York. I really love this shrug, not only is it stylish but whenever I wear it it takes me back to the little store I found it in in Greenwich Village #memories. I'll be sure to include it in another outfit post soon so you can appreciate it's versatility! 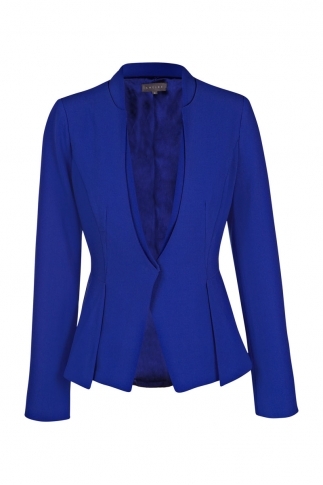 I’m loving this stylish cobalt blue jacket from Sheike. 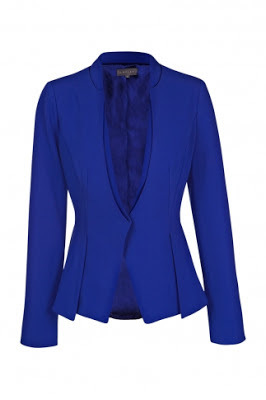 The structured cut and pleated waistline makes this the perfect jacket to dress up any outfit. Plus this is one of my all-time favourite colours to wear! I’d team it with my favourite black skinny jeans. A great investment for any wardrobe at $149.95. Preheat the oven to 160 degrees Celsius. Sift the cocoa, flour and salt into a large bowl. Add sugar and coconut, followed by melted butter. Mix together. Press firmly into a greased lamington tin (18cm x 28cm) and bake for 25 minutes. Cool on a wire rack but add the topping while the slice is still warm. To make the topping, mix all the ingredients together in a large bowl and spread the mixture over the slice. Dust with icing sugar and cut into long fingers or if you really want to replicate the classic, rounds! I hope you love it as much as I do. Now that I work in Burleigh I've been introduced to a whole new world that is this beachy-surfy community that lies at the southern end of the Gold Coast. There's so much local culture in the neighborhood and a great food scene to boot. I went for lunch at Canteen yesterday after hearing endless raving reviews from my work colleagues... And they were so right. This place is really great. It's tucked away on Park Avenue which is just behind the well-known James St. There are two sections to Canteen, the cafe and the eatery. The location itself is rather small but there are enough tables to cater for the current demand (here's hoping it doesn't start to get too busy and well-known). We sat inside where there is an open kitchen which gives you a rather intimate view of the chefs and their cooking skills; great for people watching. Their menu very much follows the current foodie trends; there's sourdough toast, quinoa porridge and pearl barley on the menu. This is healthy but yummy food. I ordered the Organic Quinoa Salad with roast pumpkin and baby beetroot, goats cheese and pine nuts. It was delectable, great balance of flavour and textures and a decent sized portion. Just a quick one today to share some of my birthday pictures with you. My friend Ash and I had our first joint birthday party last month. 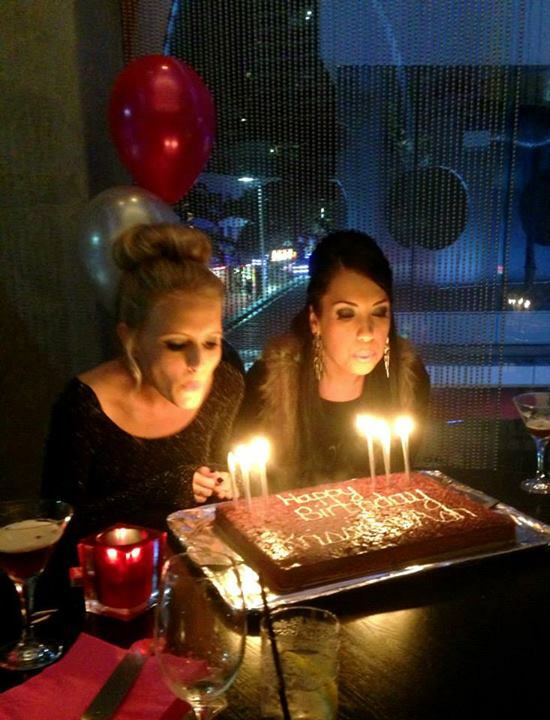 We are a year apart in age, but our birthdays are within a week of each other and having known each other for 10 years it was about time really that we celebrated together! 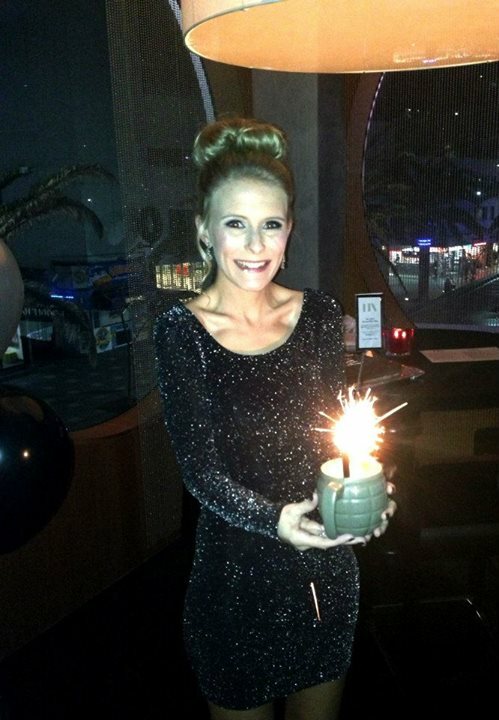 We had a lovely evening at the Hilton’s Fix Bar which is one of my favourite venues on the GC for night out with the girls [and guys]. It was an evening full of all my favourite things; dressing up, sipping cocktails, laughing with friends and delighting in delicious Sarah Lee chocolate cake (read more about my obsession here). As for my outfit I was very brand loyal. GUESS & GUESS; that is the dress and the shoes. It was rather funny on the evening, everyone was asking what brand my dress was and I would reply “GUESS.” “I don’t know,” everyone would say. “No, GUESS.” “I’m not sure,” said puzzled faces. It was all a bit lost in translation! When I was shopping for my outfit in the weeks leading up, I was a bit panicked I wouldn’t find the perfect dress; until I stumbled across this one. I’ve been looking for a long sleeved dress for ages and here it was! Then the sparkly shoes were picked up on the day so it was all rather last minute but I think it turned out perfect. Simple with a hint of sparkle. Perfect for a birthday girl don’t you think? Any seasoned traveler knows that enjoying the amazing views, food and atmosphere of a new place are really important parts of a great trip away. So visiting a city as dense with culture, scenery and activities as San Francisco can present a dauntingly large to-do list. In SF, tourists flock to known hotspots like Fisherman’s Wharf and Pier 39, but to get a richer sense of what the “City by the Bay” is all about, the best thing to do is to live like a local. Based on my local knowledge (I’m lucky to have lived in this beautiful city for 5 years! ), here’s my guide of the best places to go and things to do while you’re there! Most tourists know that paying a visit to The Rock, the island that houses one of the world’s most infamous shuttered prisons, is a must for a trip to SF. But not everyone knows how much cooler (and creepier) a tour of the decaying old grounds is at night. Not only do night tours give a more complete experience, with guided tours on and around the island and special presentations each night, they also afford stunning views of the sunset behind the Golden Gate Bridge and the city skyline coming alive with light. The night tour also lets visitors explore the old prison hospital, which is said to be the spookiest place on the island. Before you board the ferry to Alcatraz, explore the delicacies at the Ferry Building. The old ferry terminal has been revamped into a sprawling marketplace, full of artisanal local foods and restaurants. Enjoy a half dozen oysters and a glass of champagne at the Hog Island Oyster Company while watching the ferries come and go. Or grab a bottle of wine from Ferry Plaza Wine Merchant, some cheese from Cowgirl Creamery and a baguette from Acme Bread Company and picnic on the grass across the Embarcadero, the main street that runs along the city’s eastern waterfront. San Francisco is known as being one of America’s great walking cities; it is also renowned for its eclectic restaurants and bars, so you must use these two facts to your advantage. Start the day with a hearty meal at Outerlands by Ocean Beach, Ella’s in Presidio Heights or Mama’s on Washington Square, then traverse the hills to walk off the calories. Take an early afternoon break for a proper Irish coffee at The Buena Vista, then walk to Hyde Street Pier to explore the old retired ships at the Maritime Museum. After the caffeine boost and whiskey high sets in, walk along the waterfront to Crissy Field for great views of the Golden Gate Bridge and the surrounding marshland. For dinner, head to Tony’s Pizza Napoletana in North Beach for World Pizza Championship-winning pies, or for local, sustainable fare head downtown to Farmer Brown’s. If choosing just one type of food is too hard, look for the latest “Off the Grid” event, which brings together multiple gourmet food trucks in one location. Events are schedules throughout the week at different spots around town, featuring new truck lineups every day, but if you can’t make it to the nearest one, try SOMA Street Eats, a permanent street food park with a rotating food truck lineup. After filling up on street fare, have a microbrew at nearby City Beer Store’s small but welcoming bar, and take a rare bottle or two to go. The western side of the city rarely gets as much love as downtown or the waterfront, but a trip out toward Ocean Beach is well worth it for the incredible views, culture and history. Start the trek by hiking the Land’s End trail starting at China Beach (nestled in the exclusive Sea Cliff community) then walk the coast while enjoying views of the Pacific, the Golden Gate Bridge, Marin Headlands in the distance and even a few shipwrecks stranded in the waters below. Make a stop at the Palace of the Legion of Honour, a classical art museum with architecture truly reminiscent of a Roman palace. Say hello to The Thinker out front and then turn around and take in one of the best, most underrated views in the city. From there, venture to the historic Cliff House for lunch, then head down to explore the ruins of the old, burnt out and sea-filled Sutro Baths. The preserved Sutro Gardens are nearby, and be sure to stick around to watch the sun set over the ocean. If, after all that, you’ve got time for one more outing, consider doing what I love on sunny weekend afternoons: grab some cookies or pastries from Tartine, one of the best bakeries in the US, and head over to Dolores Park, a favourite among many SF residents. Every weekend, people gather in this park and enjoy friends, food, drinks, music, pets, and games. And if I’m feeling hungry, on my way home I stop by Pizzeria Delfina for a truly amazing Neapolitan pizza. Angie Picardo is a staff writer at NerdWallet, a financial literacy and travel site dedicated to helping people save money on travel and achieve retirement success. A recent graduate of UC Berkeley, she lives in San Francisco and loves introducing people to the city’s many attractions.